Over the past 2 years our students have taken part in sports days near the end of the summer term. For the last 2 years “Brady” house has won the sports day. If you’re wondering what a “House” is, then think back to Harry Potter and how each of the students were in Gryffindor etc. I set my year 7 students the task of investigating whether this was true or false. Who were really the best at sports? Was it Brady house or Rumbelow? They had to develop their own hypothesis and they had to develop a number of publications which fitted into the National Curriculum. This scheme of work was centred around using the Kinect to engage students in Databases. I also want to improve my own knowledge by learning how to develop applications through the new Kinect SDK. I develop a Kinect Quiz and a Kinect Spelling test which has now been used by other teachers such as award winner Gareth Ritter. The main goal of the project was to make databases more motivating. Database can usually be a dry subject and I wanted students to be more involved and I wanted to turn it into a lesson where it would be more hands on learning. I wanted students to be able to sustain their knowledge and to be able to relate their knowledge to real life situations. I wanted them to go away and think, “ok I can use databases for this situation or this situation”. I also wanted to encourage more parent involvement through the use of blogging. –> Click on the image to download the full VCT template with the lesson by lesson break down. The concept of the project came from a previous year 7. I had previously carried out a singing project to get students to think about audience and purpose and student mentioned how you could organize scores of a game into a database. In terms of planning I had to make a few videos which showed students how to use Microsoft Tag or how to do a Query. I also had to produce the Kinect Quiz and Kinect Spell test, however these are a free source any teacher can download and use now from previous posts in my blog. 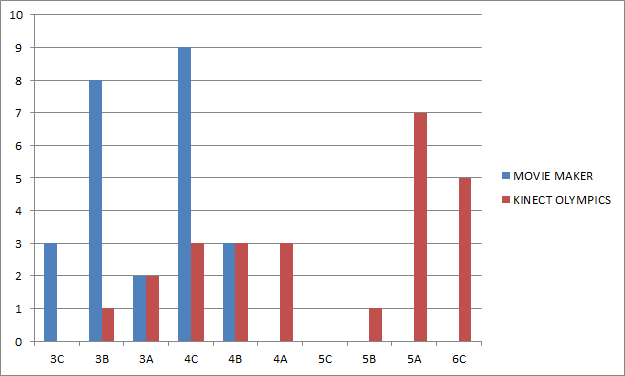 The graph above shows the levels which were achieved on a previous unit of work. Students achieved average levels of 3C, 3B, 3A AND 4C, after taking part in the Kinect Olympics you can notice the shift from these lower levels to most students achieving level 4’s, 5’s and even some level 6’s! This is outstanding for students who are only age 11. This is a 6-7 lesson cycle where the teacher sets the context of a whole school event called the Kinect Olympics. Students will use desktop publishing and literacy to create a data collection sheet which will be filled out as students attempt to get the high score. The sheets will help students understand data types and they will build their database using the correct fields (Number, Date, Yes/No). They will all compete and record their scores on Kinect Sports. These scores with the rest of the schools and queries will help answer the hypothesis. Students will present their findings through a written report but will use the Kinect Spelling test to help their literacy on technical terms. To understand the link and make connections between how databases could be used in the real world. To be able to explain the importance of validation and field types when using a database. To be able to track own progress and to extend parent involvement through the use of blogging. Databases are an important part of the ICT National Curriculum. The project helped reinforce the importance of using databases rather than manually organizing data. The great thing about the project was that it was pitched in a way that students were comfortable with. Students did not feel the pressure of getting an answer wrong. It was fun and we were able to discuss answers through the use of the Kinect Quiz and the Kinect Spelling Test. Although the primary focus was to get students to track their own progress and for them to understand connections through using databases in real life, it also forged cross curricular links to music (Music Competition) and literacy (Spelling Test and Evaluative Writing). There was even an element of P.E when students from all over the school got involved and got active at lunch time so that they could add more scores to the database for students to investigate. To get the whole school involved I would have an official competition where the highest score received medals. In terms of technology I was extremely fortunate to have all of the Microsoft Office packages installed on all of my machines. I didn’t have a problem with this. 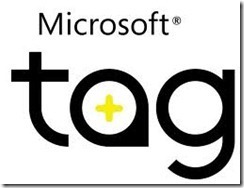 Using Microsoft Tag as a revision guide was easy as well. Students only required a live ID and they were able to log on through their web browser. The Kinect was managed by me. I would produce all of the resources using the Kinect SDK but would have to do some background research on code; however the resources are available for anyone to use now and will not need to be re-created. The class was not organized into any specific way. There was a seating plan from the beginning of the year which was generally alphabetical but it did not have an impact on the class. Students were responsible for their own learning but did cheer each other on when they were actually doing the sport. The only thing about this project which was slightly different was that, due to timetabling not one single ICT teacher had a class of their own. This class was shared with another ICT teacher; however this gave me the opportunity to extend his knowledge and to help him use more tools available. I was able to pass on what I knew and through the use of live@edu and through email we contact each other after each lesson. This was to let each other know how the class had progressed. The students would also upload their work to their SkyDrive and the VLE so that we could monitor progress. They have all shared a folder with their teacher so that they can get instant feedback. Students would also have access to a learning diary which they would update each week based on the key terms they have learnt. If you click on the link in the top left corner you will be able to see how they tracked their progress. Kinect Olympics Blog – Access Work from students and see the blog which the parents saw. Sky Drive – Access to Kinect Resources I have made over the past couple of months. Here are a few videos to help you to deliver this scheme of work to your students. Presentation in front of whole school for medals! In terms of curriculum context the learning experience was a whole school event. I managed to get students from all years to take part in this project. I managed to expand links with music and I also managed to get people from America and Canada to recognize the project. This was good as it got the students on board even more. I would read out comments from parents and from people abroad in class and the students were excited. 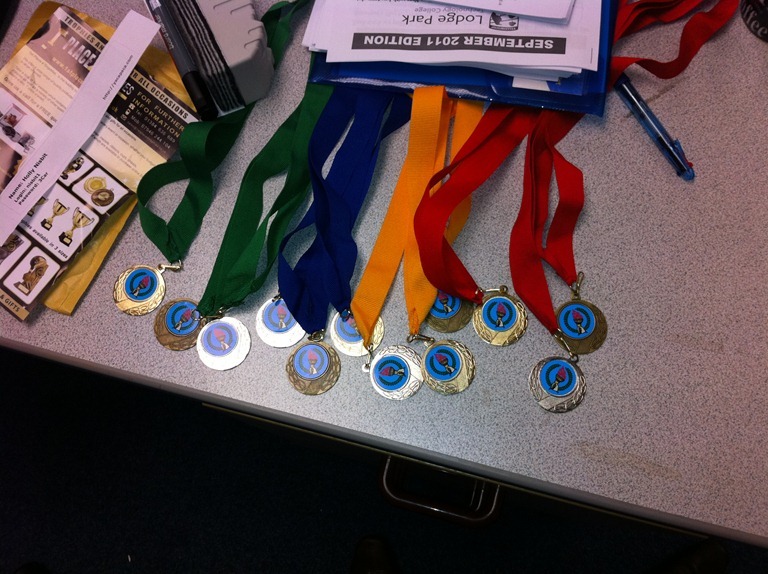 Giving the students an incentive (to win medals) helped spread the word amongst peers. I spoke to Louise Dorrian from music (I previous award winner) and asked her if I could put on a competition for students to write inspirational music. The music was to be used in assembly when I would present the awards. She accepted the offer and allowed students to come in at lunch and record music. This helped their literacy (through the writing of lyrics) and helped them get more confident in performances. You can hear the winner on the blog. I also helped a fellow ICT Teacher (Mr Johal). 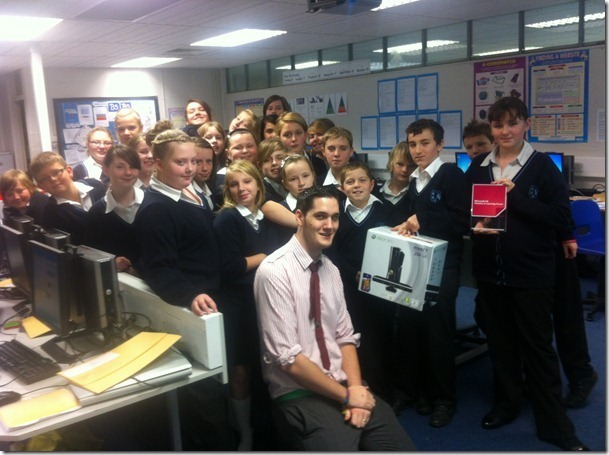 He had not thought about using the Xbox 360 in his lessons previously and through explaining the context of the next lesson and through setting up the Xbox for him he was able to get more students engaged in his lessons. I passed this knowledge on to other teachers are small conferences in school. Lodge Park Technology College in Corby. We are a medium sized secondary school with about 1250 students serving what is the fastest growing towns in Britain. Our community include the original small market town community, the people who came to the new Corby Steeltown in the 1960s and went through the trauma of the closure of the steelworks, and now a major influx of people moving to the new housing in the town (“North Londonshire in the adverts”) and Eastern European immigrants – and we are one of the few places where all of these Corbys come together. We work with the Specialist Schools and Academies Trust as an ICT Register Focus School supporting others in their use of new technologies, one of the ten Microsoft Innovative School network mentor schools and have recently become a Microsoft Academy. Click on the links below to have a look at the surrounding area.